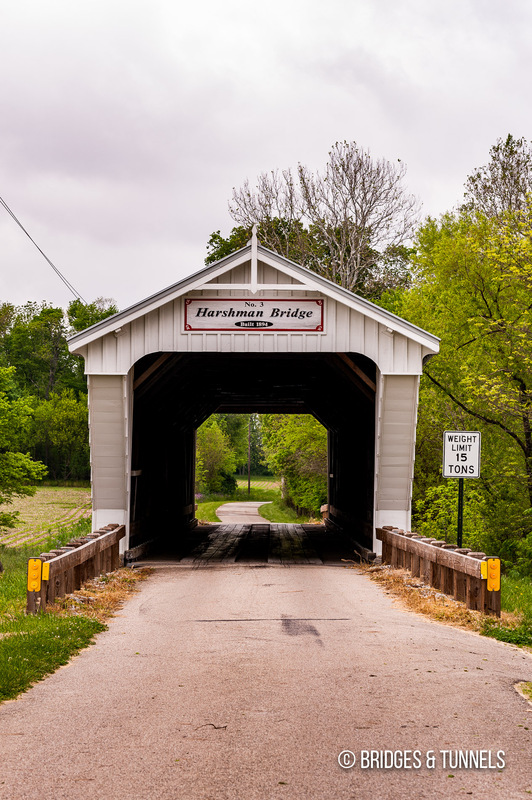 The Harshman Covered Bridge is located on Concord-Fairhaven Road and crosses Four Mile Creek in Preble County, Ohio. 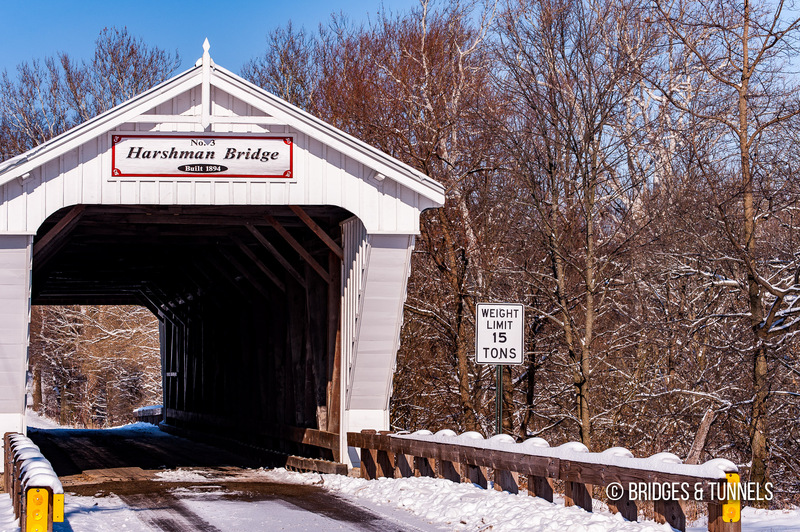 The covered Childs through truss was constructed in 1894 by Everett S. Sherman at a cost of $3,184, with masonry work completed by J.M. Acton.1 The stone abutments were sourced from the Stony Point quarry just to the north, and a sawmill along the creek near the bridge provided cut lumber. 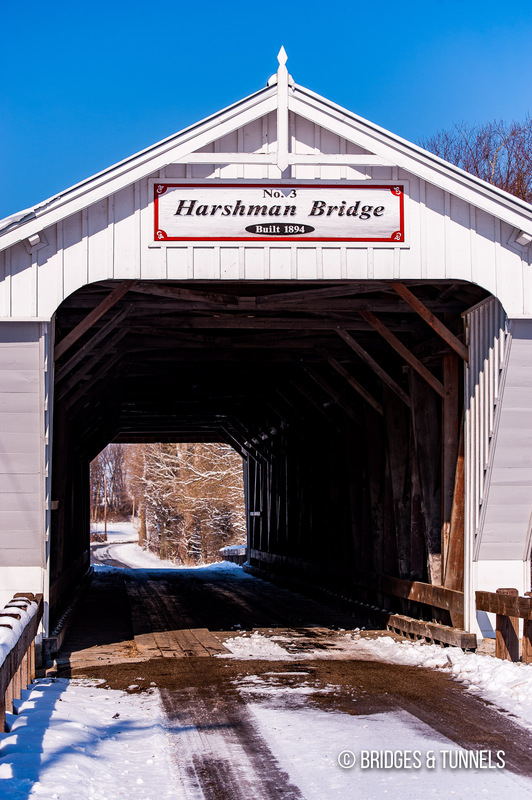 From December 2007 to May 2008, Harshman Covered Bridge was rehabilitated with new siding, flooring system, and standing seam metal roof.1 In addition, deficient upper and lower chords were replaced or added, and the weight limit was raised on the bridge from 6 tons to 15 tons. Financing for the project derived with 95% federal funding. 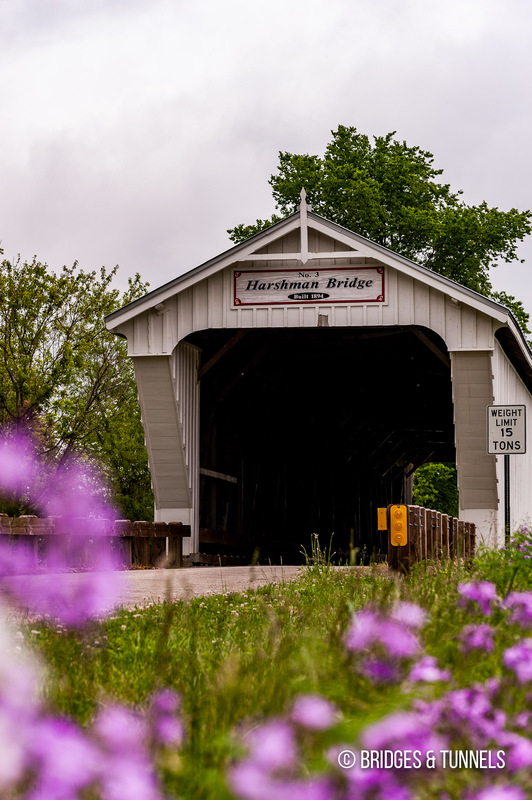 “Harshman Covered Bridge.” Preble County Engineering Department. N.p., n.d. Web. 18 May 2012. Article.